As a style-conscious male, I regularly find myself jealous of our female counterparts. I mean, obviously women are incredibly graceful creatures that can seemingly create beauty out of the most simple and humble of moments. And who wouldn’t want that ability? But more often than not, I’m just envious of the sheer amount of options available to them when it comes to fashion. Whether we like it or not, men only have so many choices to make when dressing themselves: top, bottoms, shoes and possibly an extra layer. Repeat forever. Snore. Of course, there are plenty of things that we can learn from womenswear, but the area we’re set to focus on today is one that I’ve personally been struggling with for a while: alternatives to traditional summer jackets. Because I’ve grown tired of my trusty trucker jacket; I’ve started to become indifferent towards my Harrington; and the shine has finally worn off my new linen sports coat. Yes, it’s time for a change when it comes to our summer top layer – but where do you start? Firstly, fit is king (sound familiar?). There’s no point pulling the trigger on an item that is the perfect colour, fabric or pattern when it doesn’t fit you properly or requires more than a couple of small alterations. It’s important to make sure the jacket fits you across the shoulders, chest and back – you don’t want the material pulling in any of these areas. The sleeves should end where the natural break in your wrist occurs and, since we are exploring warm-weather-appropriate styles, the length of the body should fall a couple of inches below your waist. Secondly, consider the clothes you already own. 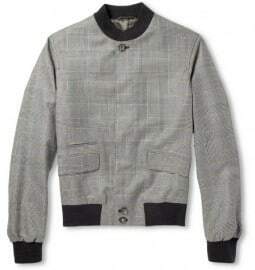 I’ve seen it so many times when helping gents build a brand new wardrobe: they go out and buy a jacket in a cool colour or pattern and then realise that they have no neutral basics to pair it with, the hues clash with what they already own or – worst of all – they own too many items in the same pattern already. Remember that you’re going to be wearing this jacket with the pieces you currently have in the real world. With that out of the way, what are the alternative outerwear styles you should be considering for the remainder of summer and transition into autumn? An ideal choice for this summer – and many more seasons to come with the way prints/patterns are currently dominating menswear – a printed bomber can inject a shot of life into the most mundane of looks. Popular patterns at the moment range from camouflage and tie-dye to Hawaiian and geometrics, meaning there is a style for every taste. If you value versatility, make sure the jacket features a neutral base colour, as this will both anchor the print and allow it to become the focal point of your look. The same applies for the pieces that you choose to pair it with – you want simple, classic and muted items that let the pattern shine. For instance, why not try combining a navy bomber with a traditional white polka dot print with some tobacco brown chinos, a white button-down polo shirt and navy loafers? Alternatively, you could choose to make more of a statement by pairing a camo print bomber with some classic indigo selvedge jeans, beige/tan desert boots and a grey crew neck tee. As with any trend-led piece, don’t spend too much. Classic stripes or checks will offer increased longevity, but motifs such as animal print or Aztec patterns may only have a couple of seasons wear in them. Finally, those that want to make a slightly more subtle statement should consider those styles with printed sleeves. By restricting the pattern to your arms it reduces the impact of the piece somewhat, making it easier to wear. Is it a shirt? Is it a jacket? No, it’s somewhere sort of in-between – thicker than a shirt, but not quite a jacket – a ‘shacket’, I guess? Of the three styles showcased, this is my favourite option due to its versatility. You can currently find them in every colour and pattern imaginable and there really is nothing it won’t go with. 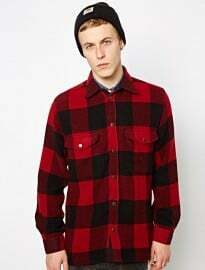 I own a solid navy version, another in red buffalo plaid and a statement camo print design. 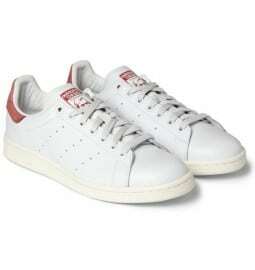 On the weekends I pair them with everything from beige shorts and denim shirts to white jeans and blue polos. I also layer them over my business attire on weekdays to help combat the early morning breeze as I walk to work. Often made from thicker fabrics such as cotton twill or denim, this type of overshirt is extremely durable – you can beat it up, fold it or pack it into a bag and it will only look better when you pull it out again. You will regularly find me wearing my camo shacket over a white dress shirt and brown madras tie combination with some beige chinos and oxblood penny loafers. An alternative option if ever there was one. But hear me out: I like the windbreaker as a choice for a summer jacket, but it does need to tick a few boxes. Firstly, it should be in a more vibrant colour like yellow, red, petrol blue or green. 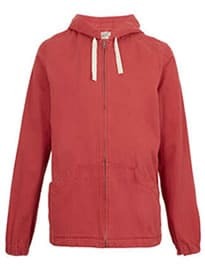 Neutral versions just remind me of the sort of cagoules my dad used to wear when walking in a field. Remember, a key reason for investing in any alternative item is to stand out from the crowd, not blend in. Secondly, it should be a minimal design. Not too many zips, pockets and pull cords – just a simple lightweight jacket with a hood. This type of jacket often looks its best when paired with athletic wear and sports luxe pieces. With this in mind, why not try combining a striking cobalt blue windbreaker with off white chinos, a white polo shirt and grown-up white leather trainers for a statement twist on this season’s big white-on-white trend? Yet that’s not to say you can’t dress up a windbreaker. A statement yellow version can be anchored with slim-fit navy chinos and a white Oxford button-down shirt – two pieces every man should have in his wardrobe – while a pair of suede Derbies will finish this look off on the right smart-casual note. So there you have it, a few alternative options to consider when it comes to buying a lightweight jacket for the late summer/early autumn period. As always, I want to hear what you have to say – which of these jackets would you opt for? Do you own any of them already? Is there another option that I didn’t consider?